The Missouri-Southern Iowa (MOSI) Art Guild named Denise Hilton as the MOSI Art Guild Celebrated Artist for July, 2017. 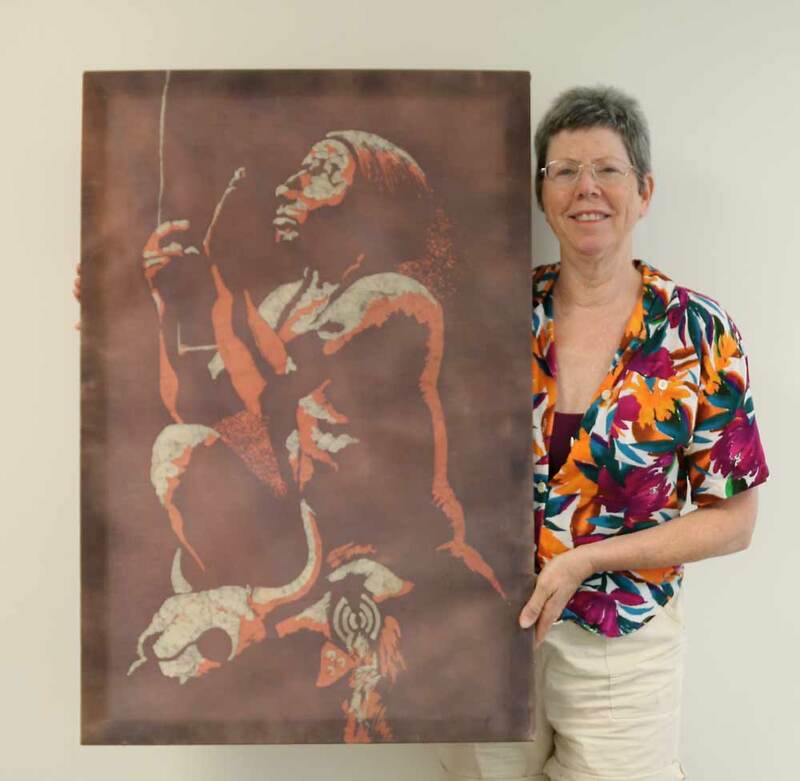 Her batik is titled “Shaman.” Batik is a process using wax and dye on fabric. Denise created this piece many years ago. She is currently involved with making found-art metal sculptures. “Shaman” can be viewed in the window of Shelter Insurance on the square with other MOSI members’ artwork.